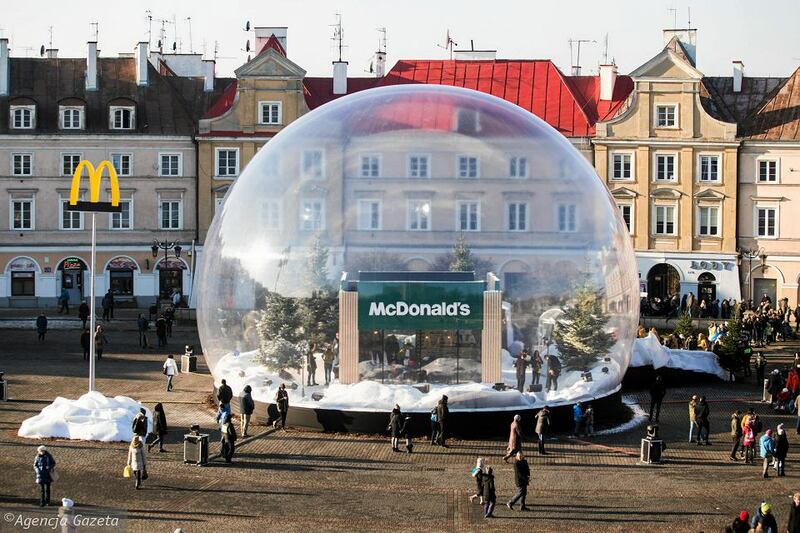 Bubble Tent is an innovative advertising idea that just has to work. The possibilities of using a Snow Globe go beyond all known limits and patterns, and this makes the Globe the perfect tool that can be used for traditional advertising purposes as well as for creative, unconventional ideas. Hire a Giant Snow Globe that becomes an instant hit, wherever it appears. Bubble Tent is an exceptional tent that draws everyone’s attention. Its round wall is made of durable and completely transparent PVC. The construction of the Bubble Tent is stable thanks to the air that is constantly pumped in. The air pumps are hidden and they do not disturb the aesthetics of the whole structure and its surroundings – you can hide them under the floor or on the outside of the Snow Globe. Bubble Tent is a great place for presenting services, since it is covered and it has a special tunel entrance. You can enter this magical crystal ball via a double door system based on a special design. Staff members make sure that one door is closed before the other is opened (they should not be opened at the same time). 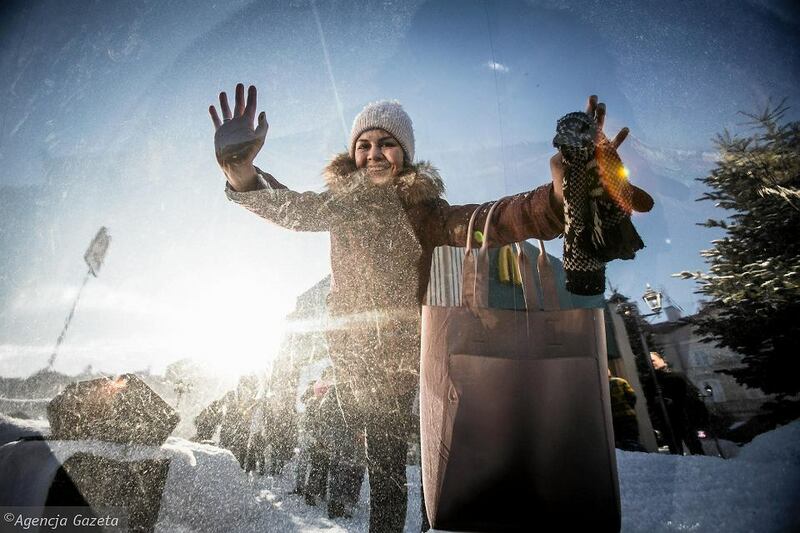 Snow Globe can also be an enclosed space – which is perfect for showcasing goods. Regardless of how it is used, it makes any kind of advertising more attractive. With Bubble Tent, your imagination is the only limit! You can use Bubble Tent and arrange the inside in an endless number of ways. Snow Globe works perfect for advertising and promotion. 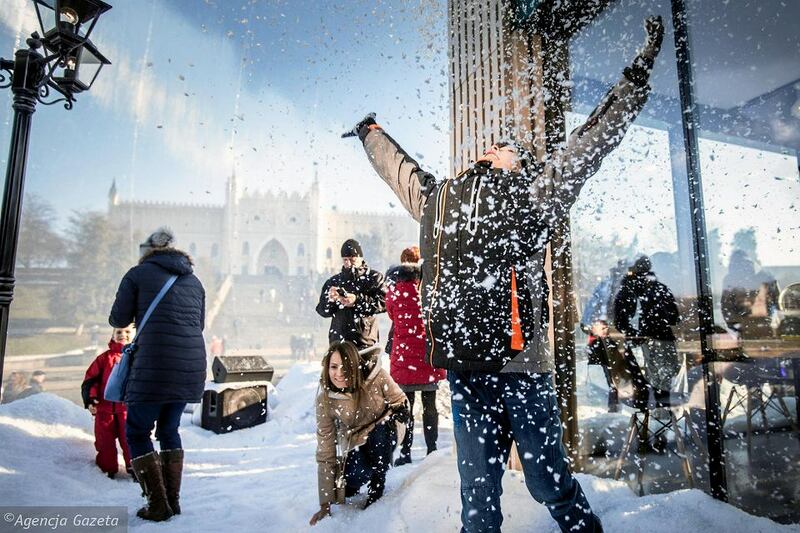 Every event with an amazing Giant Snow Globe becomes instantly more popular. A transparent tent is a wonderful element for thematic events or an extraordinary ornament – it’s great for Saint Nicholas Day, Christmas, Halloween, or Valentine’s Day. You can transform Bubble Tent into a magic, snowy sphere – a crystal ball filled with colourful confetti or a sphere enchanted with the charming play of lights. An inflatable transparent tent will be great for exceptionally effective, attractive advertising, but it can also be used as an interesting, unconventional showcasing space. If you enclose an electric car in a transparent sphere, it will surely impress everyone. Giant Bubble Tent can also be used for fairs, conferences and business events. It will make every service presentation exceptional and unique – everyone will be intrigued. You can install a Bubble Tent inside buildings as well as outside. You can choose one with or without a floor (we recommend a model with a floor for uneven surfaces). The structure of a transparent tent is weather-resistant – you don’t have to be afraid of rain, wind or even snow. Moreover, it is heat-resistant and it can be air-conditioner or heated. It’s also a wonderful idea for camping and glamping – is there anyone who wouldn’t like to sleep in an exclusive tent with a transparent roof and be able to watch the stars? You can enjoy the cool air inside while admiring a forest on the hottest day of summer. Or, you can find a warm haven in the woods in winter. Would you like to see a meteor shower? Or spend a few days in a tent watching the mountains? Nothing is impossible with a Snow Globe. 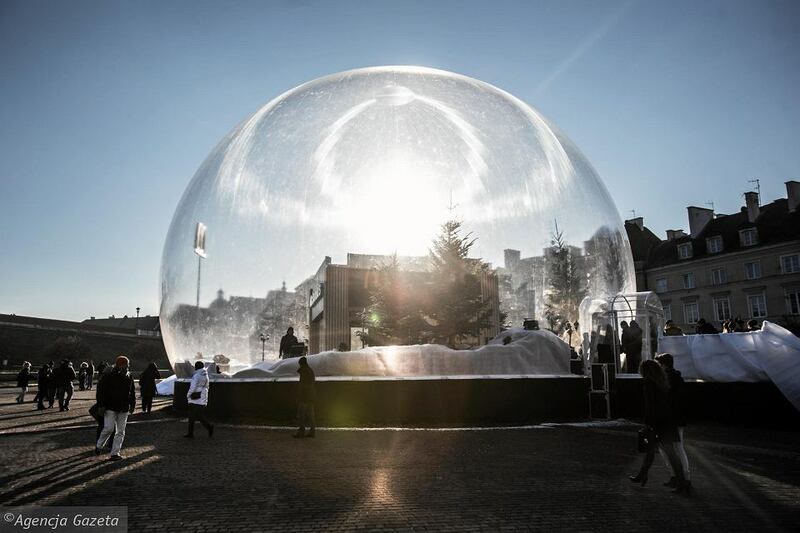 The Giant Snow Globe is more than just an innovative solution for events. You can also use it in many unusual ways. It will be a perfect oxygen tent for a SPA center, a silent and calm restroom in offices, a cafe on a rooftop, a hotel room that’s as close to nature as possible, a winter garden for cafes and restaurants, a stall during fairs, a VIP section. You can also arrange a massage parlour, an aromatherapy room, or a yoga space in a Snow Globe. It will be the perfect guest room, too. The Bubble Tent can be used for any creative and original idea. 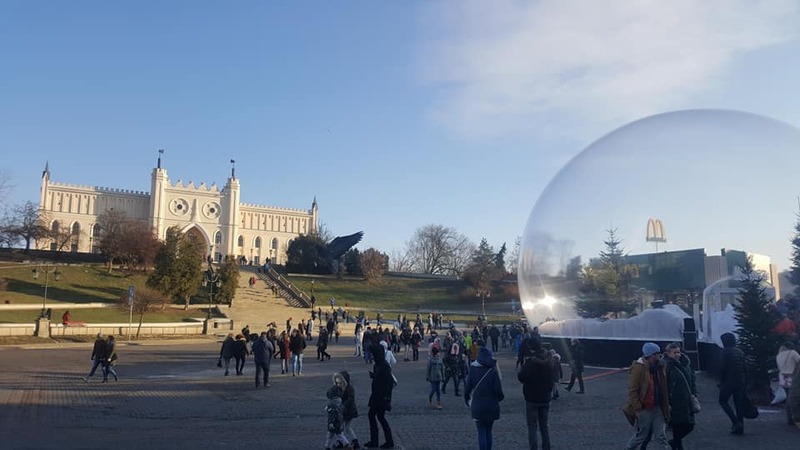 Giant Snow Globe looks exactly like a crystal ball, but in fact it doesn’t have much in common with glass. It’s a good idea to build a fence around it. Otherwise, everyone will want to touch it to see if it’s made of glass. Bubble Tent really does look like it was made of glass, and it also looks airtight. But the truth is that the design allows for a steady airflow, according to all of the strictest safety standards. There is no risk of your guests fainting due to the lack of fresh air inside. One could also think that the structure of an Inflatable Snow Globe is delicate and it could burst like a soap bubble. But appearances are deceptive. It might not look strong, but the PVC wall is quite durable and it’s not so easy to break or destroy it. It won’t burst when touched either. Even if someone pokes a hole in it with a needle, it won’t explode. Even though it looks so dainty, the structure of a Giant Bubble Tent meets all the strict standards of safety. We want to offer you a final result that has the WOW factor, but we also want your guests to be safe. The structure will resist the pressure of wind blasts of up to 80 km/h. A sudden power outage won’t be a problem either – the structure is very lightweight and it won’t hurt anyone if there is no electric power. You don’t need weeks to erect a Giant Snow Globe, even though it looks so complex. You can easily install and put up a tent in your location of choice. For the night – especially if the tent is placed inside a building – you can turn the power off, and then inflate the tent again quickly and easily in the morning. Bubble Tent walls are, as a rule, transparent. But we are great at breaking the rules. 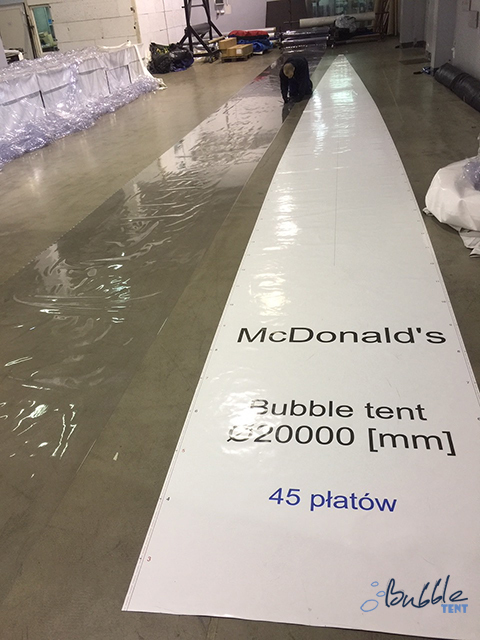 We can make custom orders with tents that are partially opaque – such walls offer a great space for branding. You can use a Branding Crystal Ball during events and business meetings. We are the manufacturer of Giant Bubble Tents, so we can offer you much more than just the ready product. We offer custom solutions that will suit your needs and will be made with your specific project in mind. 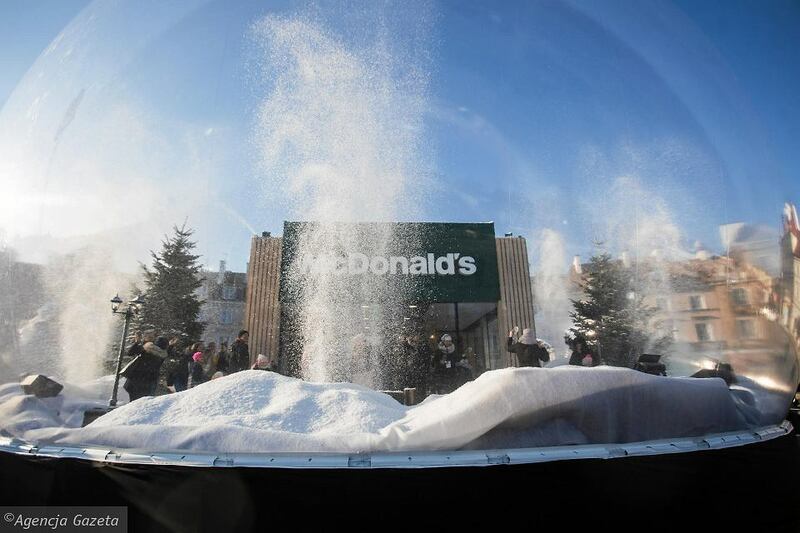 A Snow Globe with a banner, a Bubble Tent + Branding, a Bubble Tent with a tunnel, or maybe an extra large Bubble Tent? You can choose a size that suits your needs. You can also connect individual transparent tents into systems. Nothing is impossible for us. We make the membranes ourselves, so we are sure that they are top quality. We’ve also patented exceptionally quiet and efficient air pumps. Their engines do not disrupt the peaceful atmosphere that a Bubble Tent creates. We will adjust what we do to your needs and we will make your project exceptional and unique. No order is too abstract or impossible for us. 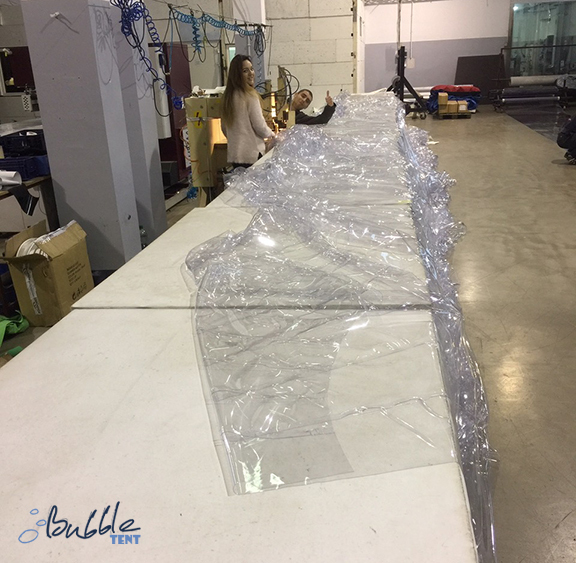 Bubble Tents turn every project into a challenge, to which we always commit in 100%. Looking for a permanent Glamping Solution?